Life & what is going on around you can affect your chakra balance & alignment. 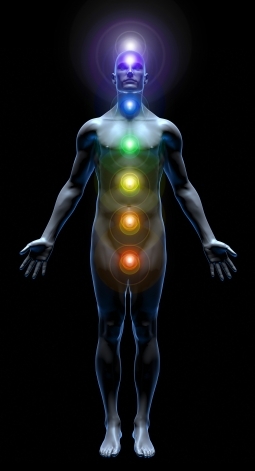 If a chakra becomes blocked or out of balance it can effect you, how you feel, how you react to situations & can prevent you from moving smoothly through life, it can also affect your ability to feel settled or grounded & can have an impact on your own level of protection as well as the aura you give off (the aura is filled with all of the colours) - chakra balancing can be most helpful to people, you will generally feel better during & afterwards, rather like a healing session. To balance your chakras I take a look at each one of them in turn, align them, open them equally & flood them with colour, this can be done in a relaxed environment or can be done absently from a distance.